← JBL XPL-200A: The Holy Grail of Audio? 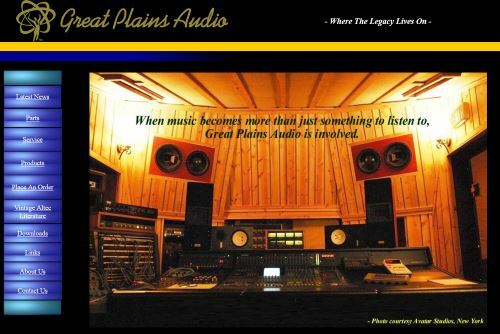 Great Plains Audio was formed in 1998 after the closing of the Altec Lansing factory in Oklahoma City. It was clear to Bill Hanuschak, who worked for them from 1980 until they closed, that there would be a need for someone to continue the maintenance of the large number of Altec acoustic products in use around the world. So, he went to EVI/Telex, who had purchased Altec Lansing, with a plan to purchase all of the tooling, drawings, and equipment Altec used to build and service their loudspeakers, and to become their authorized service center for all of the Altec Lansing products that were still under warranty at that time. 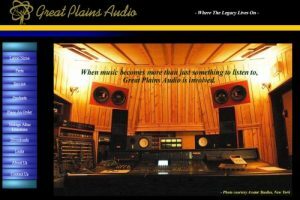 In addition, Great Plains Audio assumed repair duties for all of the older, classic products that had served Altec’s customers since it’s inception with the parts manufactured from the original Altec tooling. Great Plains Audio is also the source for original parts and warranty service for Altec Lansing Professional, which was a division of Altec Lansing Technologies. This includes all of their speaker products that were built through 2005. Today, Great Plains Audio continues the Altec tradition by manufacturing repair parts and complete products to the highest quality. Recently, they re-released some of Altec’s most famous loudspeakers under the Great Plains Audio moniker, which they call the ‘Classic Series,’ including products like the world-famous 515C and 417-8H Alnico woofers, and the NEW 288H-series Alnico High-Frequency Compression Driver. They are very excited about several new designs that are in development. Two examples of these are the impressive redesign of Altec’s famous 604-series of studio monitors, the 604-8H-III 16″ Two-Way Loudspeaker, and the new 212-8A Twelve-inch Two-Way Loudspeaker , which unitizes the large format diaphragm used in the large 288 drivers. If you’re into the sound of Altec Lansing loudpseakers you may also want to check out the Unofficial Altec Lansing Page and the Altec Users Board.